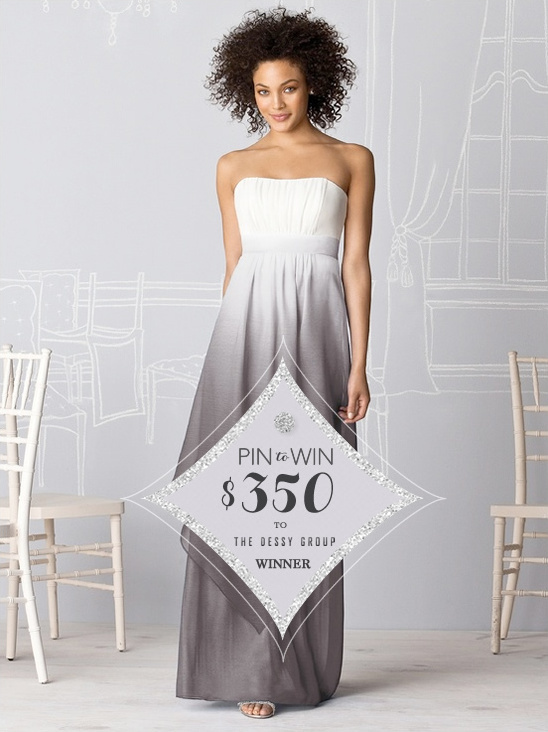 Congratulations to Jakie Lavato for entering The Dessy Group contest in a $350 gift certificate to The Dessy Group$250 gift card. Jakie must email jocey@weddingchicks.com by Friday December 21, 2012. If we are not contacted another winner will be chosen. Happy Holidays and congratulations to Jakie.